This piece of news came across our inbox this morning. The East Tennessee Historical Society has been given a small piece of musical history last week with news that they were to take possession of music legend Roy Acuff’s fiddle which was apart of his childhood. This fiddle will be added to the Jim Clayton Country Music Gallery in Knoxville Tennessee. Acuff is reported to have played that fiddle for several years while growing up in Fountain City. He passed that fiddle to Charlie Collins in exchange for Ole Iodine, a fiddle Collins found at a flea market. 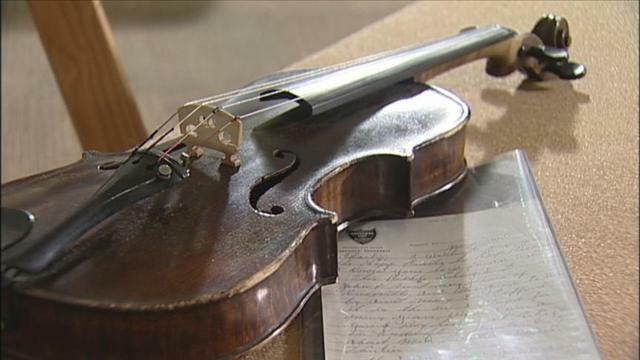 Collins’ widow gave the fiddle to the historical society which included the fiddle case and a handwritten note from Roy Acuff.